Relaxation is an inborn, integrated physiological process that can be easily triggered just by setting up the right conditions. In quiescent relaxation, in which the mind is at rest, most energy-consuming physiological processes slow down, and there is a sense that we are being restored and renewed. During times of demanding circumstances, fear, or anger, the body prepares itself swiftly for action with a pre-programmed set of physiological changes collectively called ‘the fight or flight response.’ This response can be characterized as activating, energy-consuming, and stimulating to the sympathetic nervous system. It includes increases in heart rate and blood flow to the muscles, and activation of the brain. 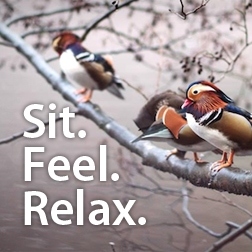 When we relax, the body produces an opposite ‘relaxation response.’ This includes a set of physiological changes all geared toward wholeness and recovery—quieting, energy-conserving, and stimulating the parasympathetic nervous system. This means that our ability to relax is built into all of us. When we intend to quiet ourselves down, we are not ‘creating’ relaxation—we are ‘allowing’ an ability that we already possess. Our success is to set up the circumstances for relaxation, and then remain passive to allow the process to unfold of its own accord. Physiological conditions for deepest relaxation include: relaxing the muscles, quieting the sympathetic and activating the parasympathetic nervous system, quieting the brain, and quieting the breath. At Massage Therapy Center Palo Alto, our expert therapists will help you to calm your brain and soothe your nervous system, in whatever modality you choose. When we calm the nervous system, a by-product is a more supple muscle that can release tension better and faster. Holistically speaking, it pays to address the complexity of the human body in order to gain access to as much relaxation and spaciousness as possible. It is in this spacious, relaxed state that more love, connection, appreciation, and creativity can be felt and shared with those around you.